Peabody’s Emily McDonough battles a Somerville player for the ball. Coming off two losses and a tie since clinching a berth in the postseason, the Peabody girls’ soccer team made certain they would enter the tournament on a positive note in their regular-season finale last Friday evening at Veterans Memorial Stadium. 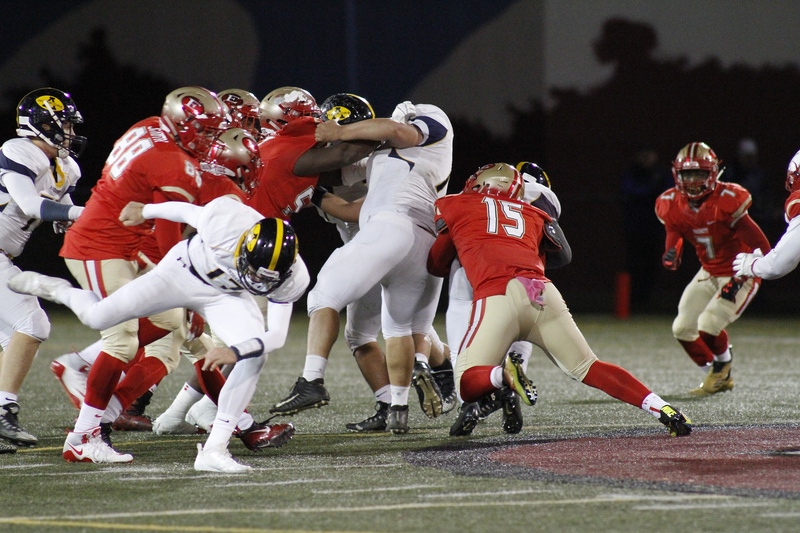 The Tanners were also celebrating Senior Night and came out determined to attack from the start. 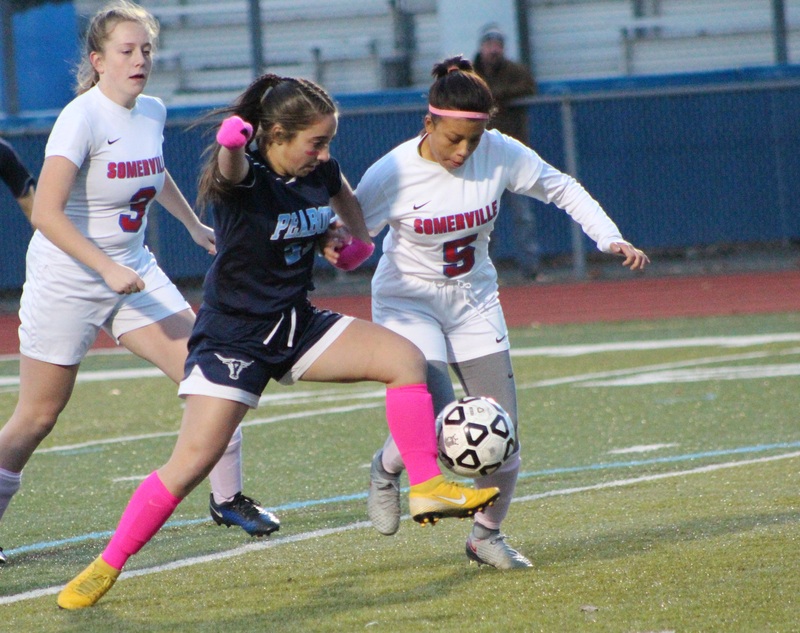 Peabody scored three times in the first half and added a single tally in the final 40 minutes to come away with a 4-0 shutout victory over Somerville. The win gave the Tanners a 9-6-2 record entering the playoffs, which were scheduled to begin this week. Head coach Dennis Desroches has a very young squad, made up of mostly freshmen and sophomore players, so whatever first-round opponent Peabody draws, it will be a challenge. And it will likely be a road contest. In the win over Somerville, Peabody’s seniors got into the act as Erin Kidd and Sarah Anderson scored. The younger members made their presence felt as well, with goals by freshman Emily McDonough and sophomore Hailey Baker, and three assists from sophomore Bridget O’Connell. Desroches cited the play of senior Erin Corrigan for her “outstanding defense.” Goalkeeper Shelby Doucette was called upon to make three saves, as the Tanner defense held the Somerville offense in check.